This is the first guest blog post featured on Crambler.com! It was written by LaToya who is a tech hobbyist and internet securities specialist. She enjoys following trends about the latest gadgets and loves to speculate on where future inventors will bring the world of tech. Want to write a guest blog post for Crambler.com? Email me at TheCrambler@gmail.com! Since the smartphone, tech has been getting pretty over the top. Every year, wild new gadgets come out that push our imaginations to the limit. Some alter the world around us in ways never seen, while others make our life more entertaining or at least different. And isn’t that the point of gadgets? To make life more awesome than it was yesterday? Below you’ll find some interesting inventions that will certainly affect our lives. Do you love the smell of coffee in the morning? How about the gentle aroma of a morning sea breeze? If smells are what you love to awaken to, Sensorwake has you covered. Pioneering the wave of a new type of technology focused on olfaction, Sensorwake replaces your conventional alarm clock’s obnoxious sound with tantalizing odors. Many of us have fond memories and what better way to get the day started than with happy, pleasant thoughts? The technology is based on solid science, as neurology has shown clear links between memory and smell. The only downside is that you have to replace the smell cartridge once a month. Still, considering how much of a drag getting up can be some days, this might be just the thing we need for tougher mornings. Following the slightly more conventional gadgets is an advancement in drone technology not soon to be forgotten by today’s hobbyists. The DJI Phantom 4 makes strides in the field of automatic piloting for drones by integrating some cool tech that basically allows the drone to avoid obstacles and follow its target closely. This gives amateur filmmakers and anyone looking to make videos a cool opportunity. Improved hovering capabilities also ensure a steady camera for those hoping to avoid Michael Bay-like shaky camera movies. The best part about all this is that it doesn’t require GPS or external technology to work properly. Most drones are next to useless when they can’t get a good signal, whereas this little guy functions nearly autonomously. While everyone’s been talking about the exploding Note 7 or the iPhone 7’s lack of a headphone jack, CAT went and developed its own smartphone that does something more than just increase processor speed or host slightly more RAM. The CAT S60 Smartphone is the first of its kind to come with a thermal imaging camera built in. And compared to most other phones, this little guy is virtually indestructible, with greater drop protection than the S7 Active and better underwater depth resistance than any other device on the market (up to 5 meters for 60 minutes). Sadly, it’s still vulnerable to outside interference and software issues over WiFi just the same as any other smart device, though that’s something you can get past by utilizing a security app and a Virtual Private Network (VPN) service. Check out this guide by Secure Thoughts for a more in-depth explanation. Although ReWalk isn’t exactly a new invention, its sixth iteration continues to improve on an already amazing design by offering an exoskeleton to people whose legs have been crippled. Originally designed for injured soldiers, the ReWalk system has since gone public and is available to anyone that can afford it. It works by coordinating a set of crutches controlled by the upper body and motors at the knees and hips. When the person shifts their body forward, the device senses the change in gravity and causes the person’s legs to move forward courtesy of the built-in motors. It mimics walking relatively effectively and it gives people a chance to be in something more than just a wheelchair for the rest of their lives. It doesn’t come cheap either; the ReWalk 6.0 itself costs over $50,000, though if you consider the cost of some prosthetics can get just as high, it seems like a fair deal. It’s accompanied by training at ReWalk’s clinics, as it does take some getting used to. Following the cancellation of Google’s little foray into the world of augmented reality with the Google Glass, it seemed like smartglasses were pretty much dead. In some ways, they still are. Spectacles by Snap hopes to change that. 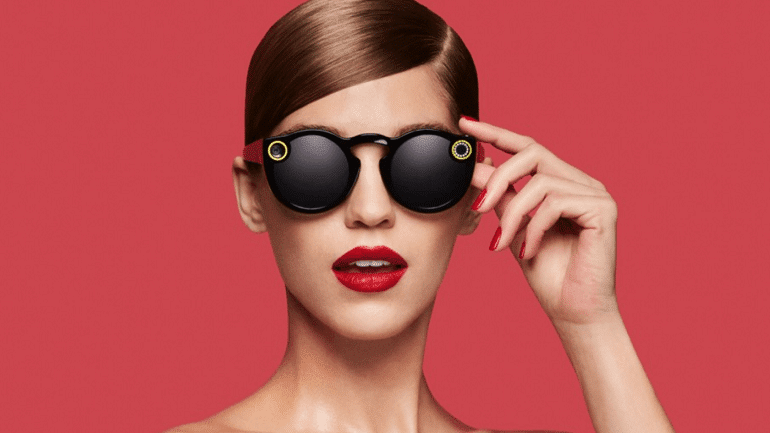 The Spectacles, a spectacularly under-marketed piece of smartgear, are sunglasses with video capabilities that are specifically geared up to working together with Snapchat. Their website doesn’t necessarily offer a ton of insight into the product, but it does do some cool stuff. First off, it records video at the same angle humans see at (about 115 degrees). Unlike the fabled smart glasses, it has no display screen. There’s also no surefire way to actually buy a pair; they’re being sold guerilla style at random pop-up vending machines. Their trendiness makes them an interesting gadget and while they don’t necessarily do something that hasn’t been done, they do it much better. The style is kind of weird and I can’t say it strikes me as something I’d wear (given that I already wear glasses), but it’s still interesting to see. No doubt some of these gadgets will be novelties that only see a few years of use before they’re quickly replaced by the next hot thing; others are certain to live on, particularly more advanced tech such as the ReWalk. These devices do leave us with some questions about upcoming tech: will trendiness be more important, or will actual usefulness win out the day? Drones are certainly a cool addition to the toolbox, but do they serve a purpose for most of us? The “hoverboards” (which don’t hover) seemed interesting briefly, but then quickly died out as just another fad. So what will be next? What cool gadgets would you like to see in 2017? Tell us what you’re hoping for in the comments. Latoya is a tech hobbyist and internet securities specialist. She enjoys following trends about the latest gadgets and loves to speculate on where future inventors will bring the world of tech. Those were some insane list of gadgets i have hardly heard off thanks for sharing, i wonder what future gadgets would be like. Thanks for the comment, Nikhil! Yeah, it’s pretty crazy how far technology has come. I also can’t wait to see what the future of tech looks like! Hey Jack! Thanks for the comment, appreciate it. I found the post really helpful and informative in terms of latest gadgets tech. Thanks for sharing!! Happy to hear that Tecraze! Thanks for stopping by. Hey, Thanks for sharing these latest, tiny and cool gadgets with us. Keep up the good work.